Books have a way of making time do funny things; slowing us down as we settle into the story and speeding up whenever a clue is about to be revealed. And of course, there is never enough time to read all the books we want to read. There is so much power in the way that books and readers interact with time and we wanted to highlight some of our middle grade favorites here at Once Upon A Time. 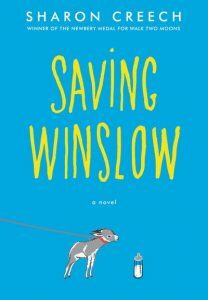 The slow and careful buildup of love and trust is the star in Saving Winslow (HarperCollins) by Sharon Creech. A delightful family read-aloud that skillfully weaves empathy, compassion and family into a beautifully realized story, universal, timeless and, dare I say a new classic, in the mold of Charlotte’s Web (without the talking animals). Ten-year old Louie is determined to save a sick miniature donkey even though his past animal endeavors haven’t turned out well. His parents caution him but Louie names his new charge Winslow as a sign of faith and determination in the small creature’s survival. Louie uses his plight as a way to connect with his brother’s absence while serving in the Vietnam War. Saving Winslowcaptures an innocence and steadfast belief in miracles that are real and close at hand. 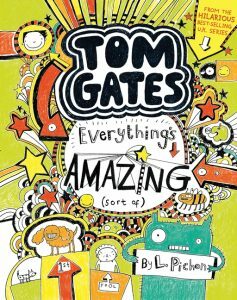 ★Starred Reviews – Kirkus, Publishers Weekly, School Library Journal. 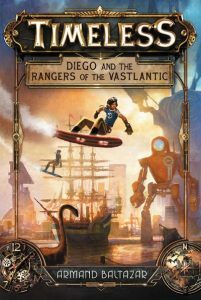 For fantasy adventure readers that want to be blown away, Timeless: Diego and the Rangers of the Vastlantic (HarperCollins) written and illustrated by Armand Baltazar is for them. First, the physical book is 400+ pages and weighs a massive 2.5 lbs! But that’s because there are over 150 full color illustrations throughout which pull the reader along the fast-paced story. And second, the premise—our world is 300 years in the future, has collapsed for a minute, and in that time reconfigured with past, present and future worlds meshed all together – without cell phones, electricity. 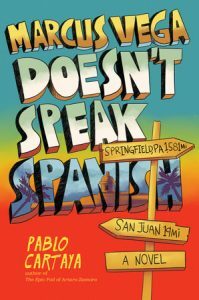 “Diego’s middle school hallways buzz with kids from all eras of history and from cultures all over the world.” Dinosaurs are with robots (mechanical) and tall ships, sort of steam punk but not. Looking for a good way to spend your time in addition to reading? 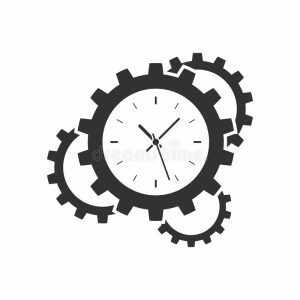 Meet Armand Baltazar, creative mind behind Timeless on Friday, October 19th at 7 pm for a special book signing and costume contest. NOTE: Good Reads With Ronna makes no commission or profit from the sale of any book in this post. 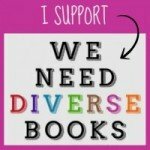 Our goal is to encourage the love of reading great books. 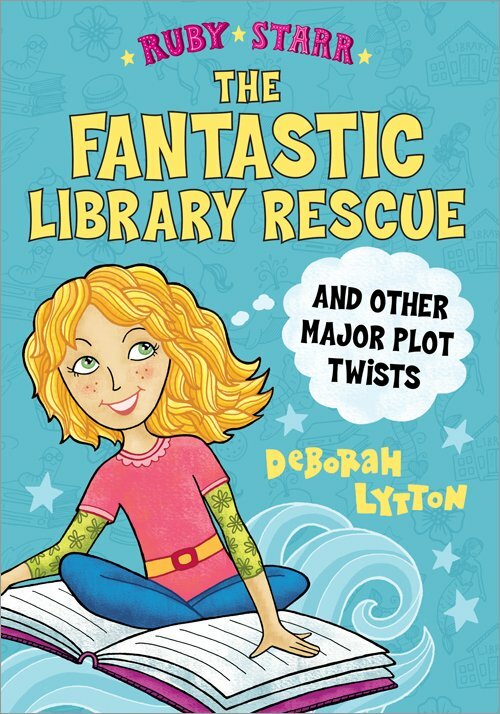 The second book in this fun series that’s perfect for younger fans of the Dork Diaries and Story Thieves series. Ruby Starr is an older Junie B. Jones with a big imagination and a love of reading. Ruby Starr’s life is totally back on track. Her lunchtime book club, the Unicorns, is better than ever. And she and Charlotte, her once arch enemy, are now good friends. The only thing that’s really causing any drama is her upcoming poetry assignment. She’s a reader, not a poet! 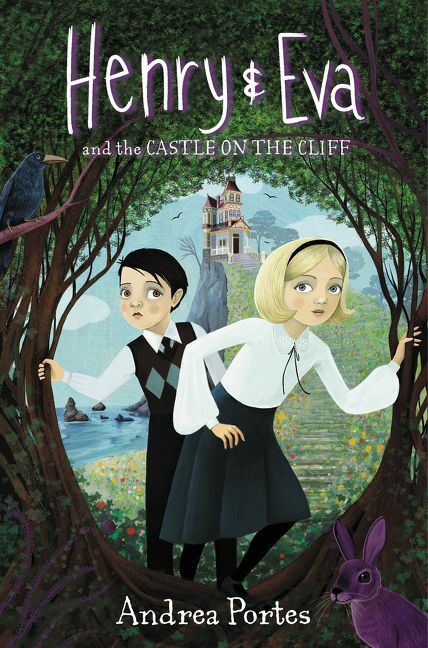 But disaster strikes when Ruby learns that her most favorite place in the world, the school library, is in trouble. Ruby knows she and the Unicorns have to do something to help. But when Ruby’s plans end up hurting a friend, she’s not sure her story will have a happy ending after all. GOOD READS WITH RONNA: Ruby is a charming, book-loving outgoing yet introspective fifth grader. And while she is not perfect she certainly is someone any parent would be proud of. Do you happen to know any Rubys? And if not, how did you wind up with her as a main character for your series? DEBORAH LYTTON: I do know a Ruby. My inspiration for this series came from my younger daughter who was in fifth grade when I began writing the first book. My YA SILENCE had just been released, and my older daughter was reading it. My younger daughter wanted me to write something for her to read. She asked for a story that would make her laugh. I based the character of Ruby on her initially, but then as I began to write, the character took on her own qualities. My favorite part of writing is when the characters begin to shape themselves. That definitely happened with Ruby Starr. GRWR: What do you love most about her? DL: I love that Ruby makes a lot of mistakes, but always tries to fix them. My favorite thing about Ruby is her kindness. She thinks about other people and their feelings and tries to help them when she can. This is a quality I truly admire. I also enjoy writing Ruby because she is so imaginative. GRWR: I realize this is book #2 in the series but yet I felt fully up-to-speed. Can you please tell readers briefly what happens in book #1? DL: I am so happy to hear that you felt up-to-speed! 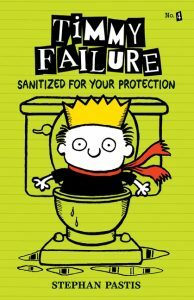 It was really important to me to write a second book that would let readers jump right in. Book #1 establishes Ruby’s character and her love for reading. The story centers on friendship troubles. 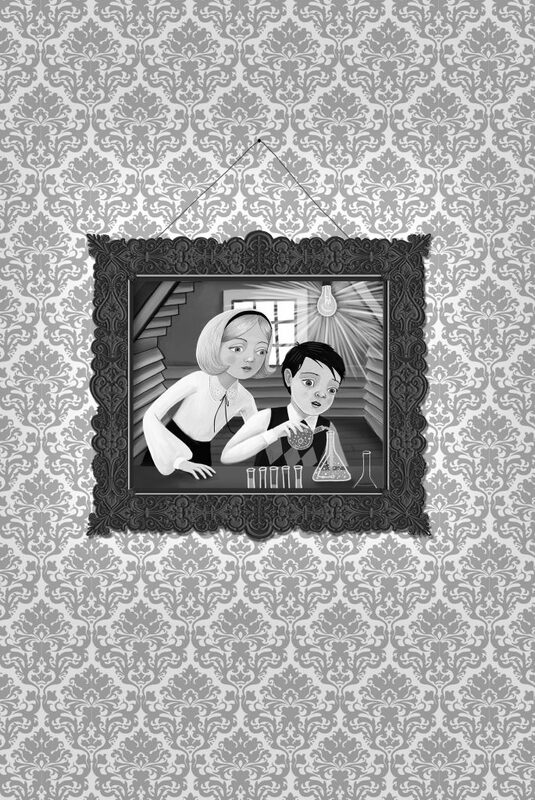 When a new girl joins Ruby’s fifth grade class, she begins pulling Ruby’s friends away from her. Then she threatens to destroy Ruby’s book club. Ruby has a difficult time, and then she learns something about the new girl that changes everything. Ultimately, books bring the friends together. 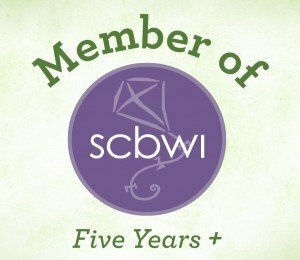 GRWR: Is there a book #3 on the horizon? DL: Yes, I am really excited about Ruby’s third adventure. I have just finished the manuscript and I can tell you that Ruby and her friends get into a little bit of a mix-up and that it all begins with a very special book. Interior illustration from The Fantastic Library Rescue and Other Major Plot Twists by Deborah Lytton with art by Jeanine Murch, Sourcebook Jabberwocky ©2018. GRWR: As a kidlit reviewer I love that Ruby is in a book club (The Unicorns), and as a writer I love Ruby’s vivid imagination. 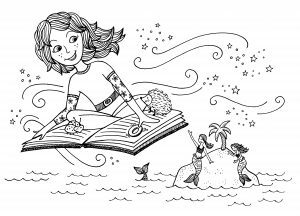 Did your own childhood inform these traits or did you feel she’d need these qualities to be a role model for tweens or someone many young readers could relate to? DL: Growing up, my sister and I were like Ruby. We loved reading. Both of us cherish books and have saved many of our favorites from when we were young readers. My own daughters also love to read. In spending time helping out in their school classrooms and libraries, I have seen how many students enjoy books. I loved the idea that a fifth grade student would be independent enough to start her own book club at school to celebrate reading. Then I thought it would be fun to see where her imagination would take her, especially since she would be inspired by all the books she had read and loved. 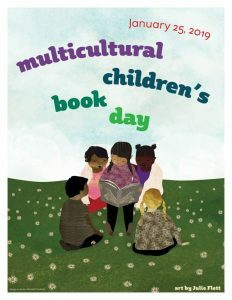 I hope young readers who have stayed up late just to read the next chapter of a book will connect with a character who is like them. GRWR: The hero’s journey that Ruby embarks on is to save the school library where the hours have been reduced and new book purchases have been shelved due to funding cutbacks. Was this plot line inspired by stories you’ve seen in the news or even closer to home here in L.A.? DL: I have volunteered in the libraries at my daughters’ schools so I have seen first-hand the way that budget cuts have impacted the libraries. I have also helped students search for the perfect book to read and then watched their faces light up when they discover something really special. Libraries are so valuable to our youth. I wanted to highlight that message in this story.